Today is the first day of October!! October is my favorite month of the year! I am obsessed with Halloween so I'm always very busy during this month with Halloween stuff. My kids birthdays are also in October, which is so fun to celebrate. But apparently, I think I'm not busy enough because I've decided to post every day this month! Make sure to follow along with my daily posts! Today, since it's technically the month of Halloween, I thought it would be fun to talk about Black cats Halloween superstition, and the history behind it all. 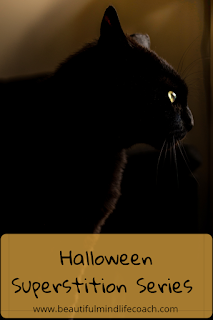 Black cats and Halloween go perfectly together. Every time I see a plain black cat, I think of Halloween. But, do you know how they got associated with Halloween? Black cats have gotten a terrible reputation as harbingers of evil or bad luck. This unfortunate association dates back to the Dark Ages when older, solitary women were accused of witchcraft. Many of these ladies kept cats as a company, and the cats were said to be animals given to them by Satan himself. 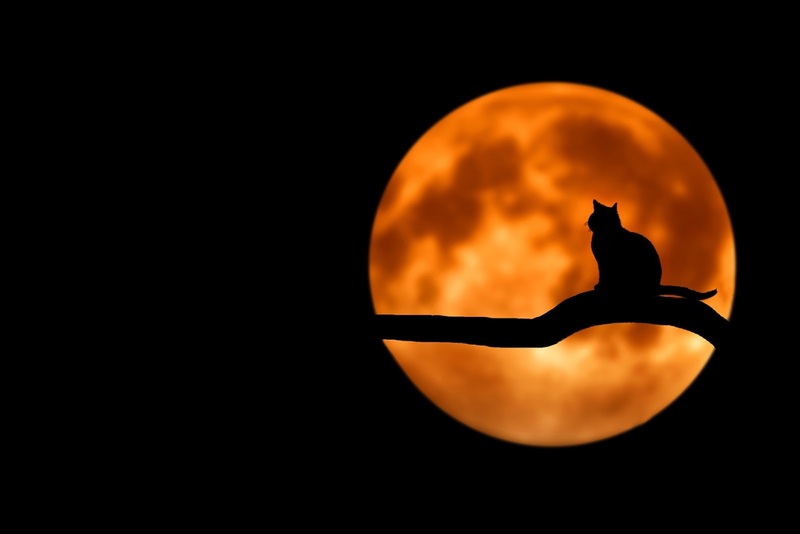 Supposedly, the devil sent the black cat to assist in the witch’s evil deeds. 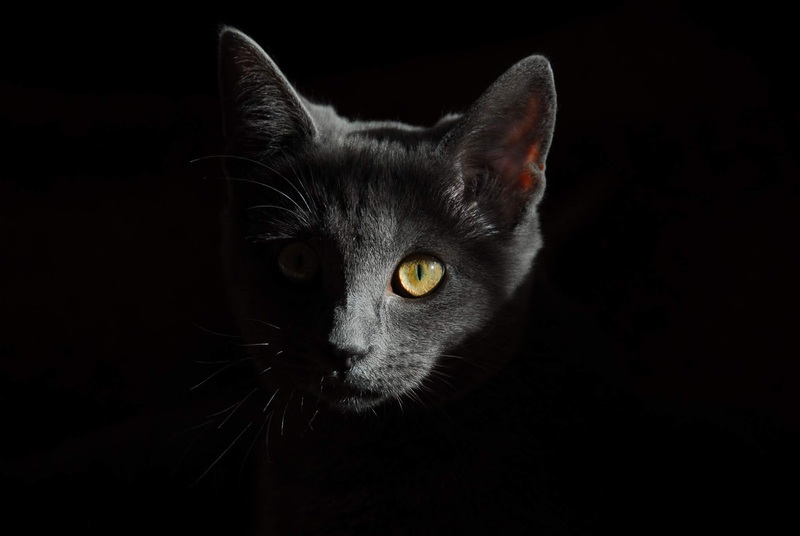 Additionally, witches were able to turn themselves into black cats so that they could slink around in the shadows casting spells on unsuspecting people. 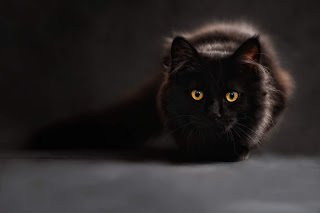 Also in the Dark Ages, Normans and Germanic people believed that a black cat was a sign that a death would soon occur. The fears about black cats spread throughout Europe over time and, sadly, mass killings of black cats took place. Although certain areas of Europe had some positive black cat superstitions, the black cat was often misunderstood and mistreated. I personally think Black cats are beautiful. I'm glad now they don't treat those poor animals like that. But I do know some people who still believe black cats are bad luck. 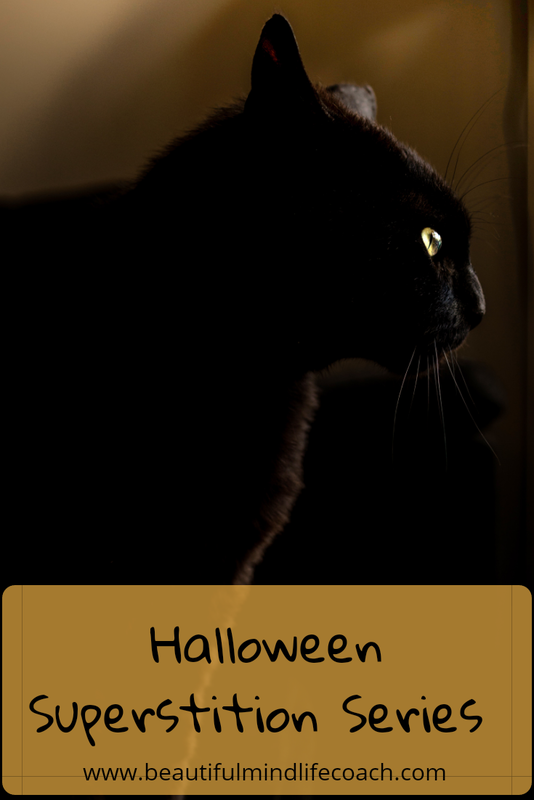 I love reading about history and Halloween, so I may post other superstitions throughout the month.